This unit is beautiful, bright and airy AND comes with all furnishings. Next to Orange Beach Sports Complex. 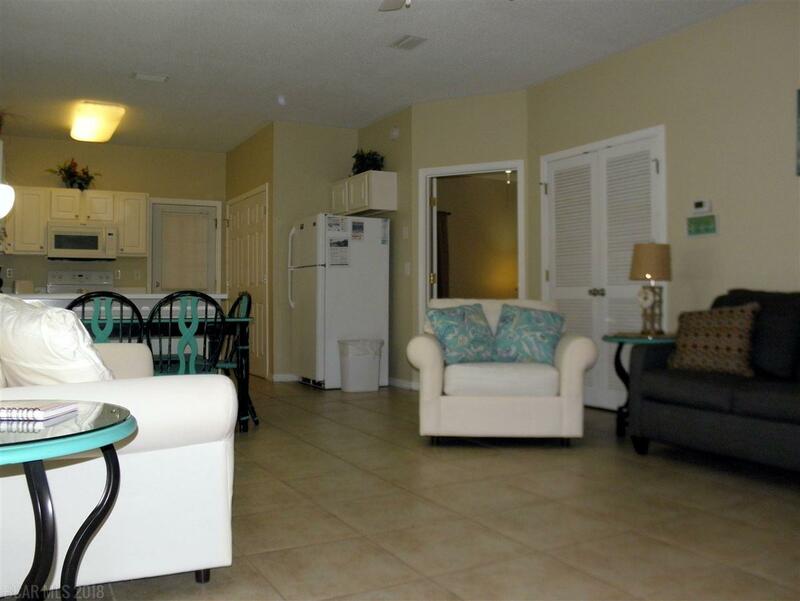 Close to The Wharf, lots of restaurants and Orange Beach white sandy beaches. 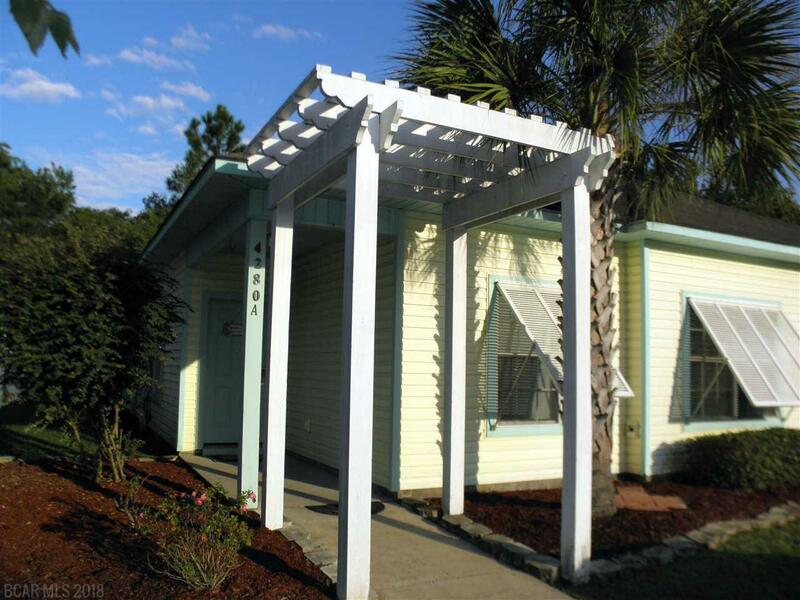 Orange Beach Villas were built with Key West inspiration in mind. 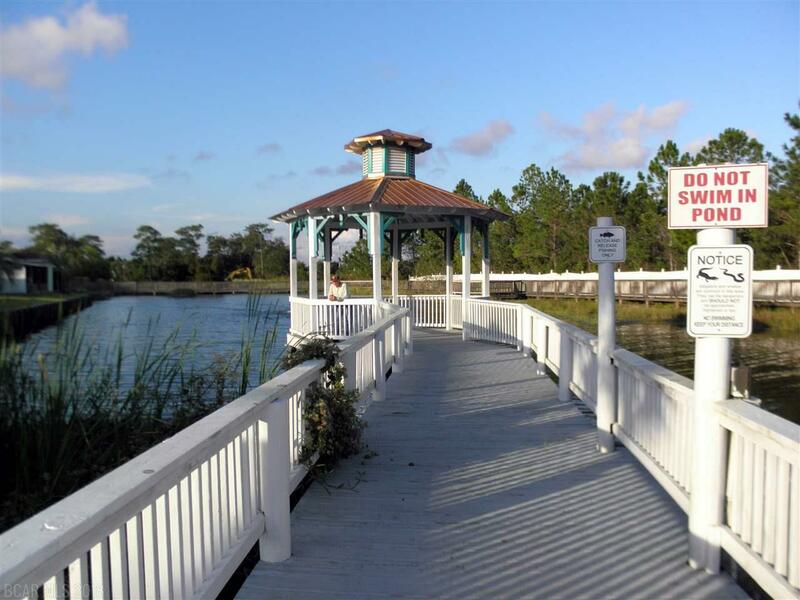 Complex offers large outdoor pool, clubhouse, gazebo overlooking stocked pond and walking deck around pond. Bring your fishing pole. This unit has 2 assigned parking spaces. Private covered and screened back porch with large storage room. Floors are tile throughout. The master bedroom features a king-sized bed, the second bedroom has a queen-sized bed and the third bedroom has 2 twin beds. The living room has a sleeper sofa. Plenty of room for the athletics after being at the Sports Complex. The living room features a 50-inch Smart television. A full-sized washer and dryer just off the kitchen. The kitchen also has a new dishwasher and microwave. AC unit recently replaced. Unit is on rental program. Great investment opportunity. 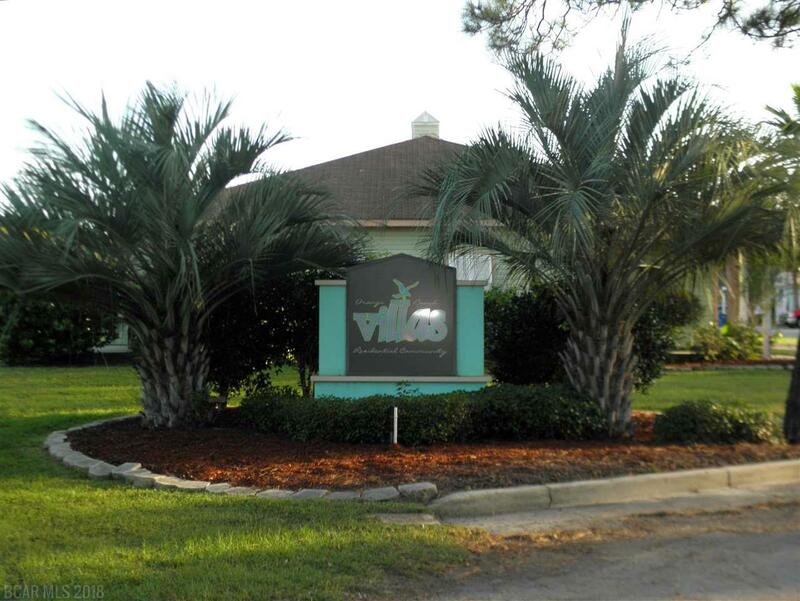 Come see Orange Beach Villas. Listing provided courtesy of Coastal Cottage Living Real Estate. Listing information © 2019 Baldwin County Association of REALTORS® MLS.